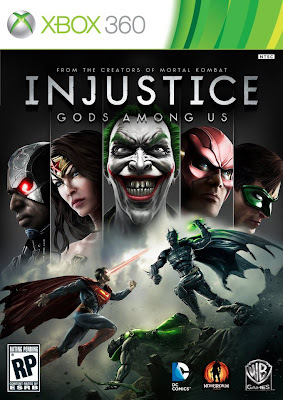 With each release of characters for the upcoming video game fight fest Injustice: Gods Among Us, the hits get harder, the environments more interactive and characters you never thought stood a chance against each other actually possess a hope in hell. Now not only has box art arrived that features the Joker and Green Lantern Hal Jordan as part of the playable arsenal of characters, EW.com has announced a mouthy marksman, with his own TV series now in tow is also on the roster, and what's more he can even handle The Flash. Get set and watch Oliver Queen 'Errol Flynn' his debut just below. What do you think? What other characters would you like to see in Injustice: Gods Among Us? I'd love to see Grundy, Deathstroke, maybe Mr. Freeze, some characters with completely different fighting styles to mix things up. Its a good idea, and long overdue to have so called [not by me] second-string characters in a DC video game. Spent a very worthwhile weekend once a couple of years ago playing the last game they brought out. But instead of the usual Justice League type they should bring in the Titans, Birds of Prey, Secret Six, Suicide Squad etc. Some of these have no actual powers but plenty of skill sets that require multiple 'switching' [whatever the current word is for these things!]. Just imagine how 'The Longbow Hunters' would be as a game! thanks guys! I agree more characters from the background would be awesome although I am surprised current high profiler Bane isnt already announced. Id like to see more villians too. Cheetah, Gorilla Grodd, Despero would be awesome. Plus a New God or two. I mean Deesad or Mr Miracle who is backed up by his wife? Sign me up. And speaking of Longbow Hunters Karl any game that involves Black Canary already has my interest.